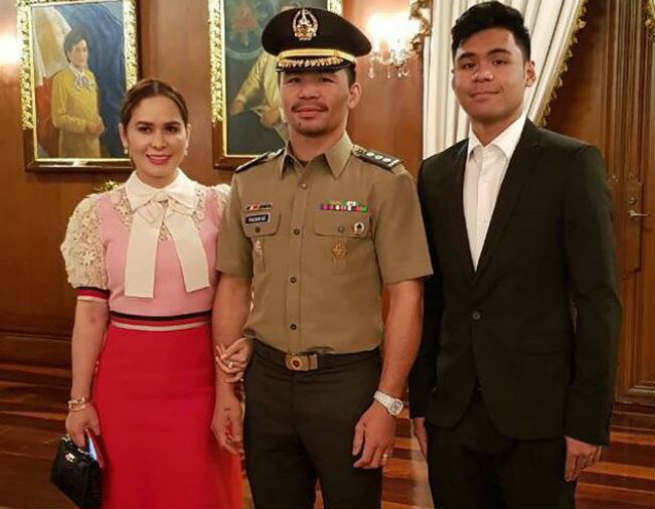 Senator Manny Pacquiao is now a full fledged Colonel and Manny’s wife Jinkee Pacquiao is so proud of him. Jinkee took to her Instagram account to congratulate her husband’s endeavors. She wrote, “Congratulations to Senator @mannypacquiao being promoted to full fledged Colonel #DonningofRanks #Godisgood”. Also present in the event is their son Michael Pacquiao who looks stunning in his black suit.